The 2019 League of Legends Championship Series, otherwise known as the LCS, has officially begun, and the competitive pre-season is now over. With the first round of games last weekend, North American pro teams were able to show the fruits of their pre-season labors, such as new rosters, strategies, and in Echo Fox’s case, some of the same old, same old. While there were some blockbuster roster moves on teams like the Golden Guardians, OpTic Gaming, and CLG, it was FlyQuest and Clutch Gaming that actually showed up with their new rosters. It may be too early to call these teams frontrunners, but one thing’s for sure, they looked about as different as they possibly could have from the 2018 season. They looked confident, aggressive, and ready to make a name for themselves. In 2018, however, they were meek, slow to adapt, and just sort of there, with barely any star power or standout players. Needless to say, it’s a different game for both of them now, and that’s why they’re two of the three teams tied for first with a 2-0 start in Week One. So what’s the secret ingredient? From what we can tell, looking from the outside in, it’s trust. 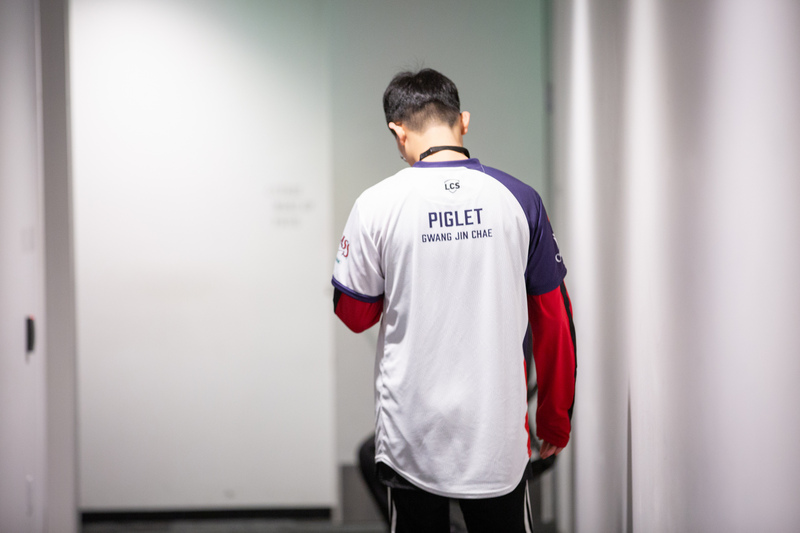 In a Kyrie Irving-esque fashion, Eugene “Pobelter” Park moved away from his norm, teams stacked with superstars, and onto FlyQuest, where he and Jason “WildTurtle” Tran have the most clout. He’s had success all throughout his career, but he usually isn’t the one that fans attribute his teams’ success to, despite his stats being consistently great. Here, his team of relatively inexperienced players (not including Lucas “Santorin” Tao Kilmer Larsen) trust him to lead them, and he trusts them to do their jobs. At least in the first week of play, it shows on the Rift. On the other side of the court, Clutch Gaming has found themselves in a very similar situation. They traded away almost their entire starting lineup of mostly unsuccessful players, and now, their new starting lineup consists of legends—Chae “Piglet” Gwang-jin, Heo “Huni” Seung-hoon, and Nam “Lira” Tae-yoo. They aren’t legends in North America, though, they’re international legends who all haven’t found a lot of success since arriving in the region. For the past several splits, they’ve all been considered washed-up, struggling to live up to their former glory, and this year, Clutch rolled the dice by starting all three of them. Putting them in shows trust on Clutch’s part, essentially saying, “we believe that this is the year you make a comeback.” And, more importantly, they’ll all have to put their egos aside and trust one another. Sometimes, they won’t all be able to carry, and success will come if they can manage shifting that responsibility around. If they can play at even 80 percent of what their career bests were, they’ll be a shoo-in for playoffs. If these teams continue the momentum going into Week Two, it’ll be a much better sign that they have a grip on the situation. For now though, fans have good reason to be cautiously optimistic, which is a lot better than either of these teams’ fans could feel in 2018. If they can both pull it off, that’ll mean the LCS is a lot more competitive, and the playoffs might be a little bit more difficult to predict.